I’d like to have your help. I’m working my novel, and it’s time to name one of the secondary characters. (Scroll down to the Nov. 4 post to read the premise.) Let’s make this a group project. Here’s a little bit about her: she’s a close friend of my main character. You might call her a rabble-rousin’, 1940s Annie Oakley. She can shoot and ride with the best of them, and then captivate the whole room while loudly spinning a yarn. All tomboy is what you could call her, except for her trademark pearl necklace and red lipstick. The only thing bigger than her love of mischief is her love of friends and family. So…a blank birth certificate sits before you. What name will you pen? Please vote in the poll on the side. I can’t wait to see what you all think! Tonight I’m moved to do something never done on this blog. I simply offer a prayer for each of you as you read this, dear friend, whether you’re a regular guest or one who’s dropped in. I pray that God blesses you as you seek Him now–the One who smiles at the seeking but takes joy in letting Himself be found by you. May you melt in His warm embrace. 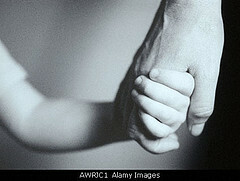 May you loosen your fists, allowing Him to take from you the troubles and sins you grasp so tightly it hurts. As He enfolds your hands in His, I pray that you dare to gaze into His face beaming with love and delight in you…finding home in His eyes. I’ve had several people ask me about the novel I’m writing, wanting to know more about the true story behind the story. Future posts will reveal more, but for today I’ll share some basics. The story is about a fictional young woman, but the setting is anything but fiction. It involves the WASPs of World War II, the Women Airforce Service Pilots. 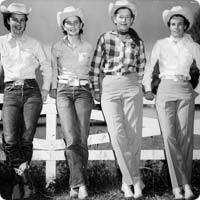 In the early/mid 1940s, more than 1,000 ladies trained in Sweetwater, Texas. After graduation, they performed varied miltary piloting duties across the country–and some overseas, freeing up more men for combat. They served as ferrying pilots, flight instructors, objects of target practice, and test pilots for experimental or newly-repaired aircraft. Thirty-eight of them died in the line of duty. The WASPs were disbanded in 1944; thirty-three years later Congress granted them veteran status. I get so excited talking about this project that I have to restrain myself from sharing more now. You’ll find future posts about these courageous women. In the meantime, follow this link to the WASP Museum if you want to read more: National WASP World War II Museum. …And with Veterans’ Day right around the corner, please take time to thank each veteran you know. I’m so grateful for their sacrifices on behalf of all of us.